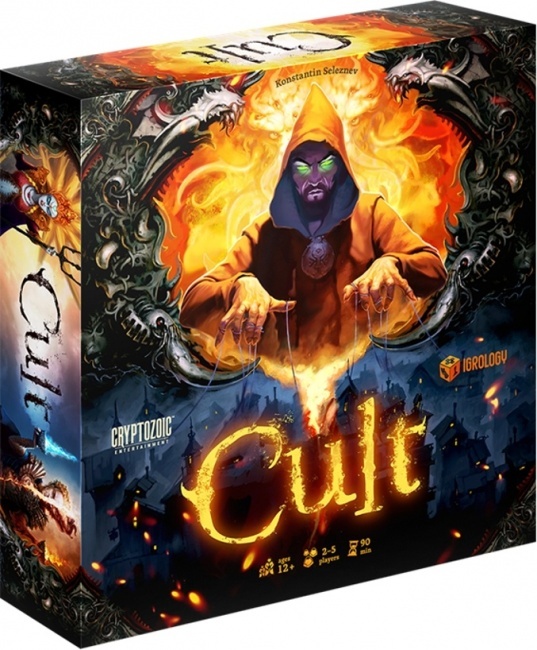 Cryptozoic Entertainment will release the new worker placement game Cult in late 2018 or early 2019. 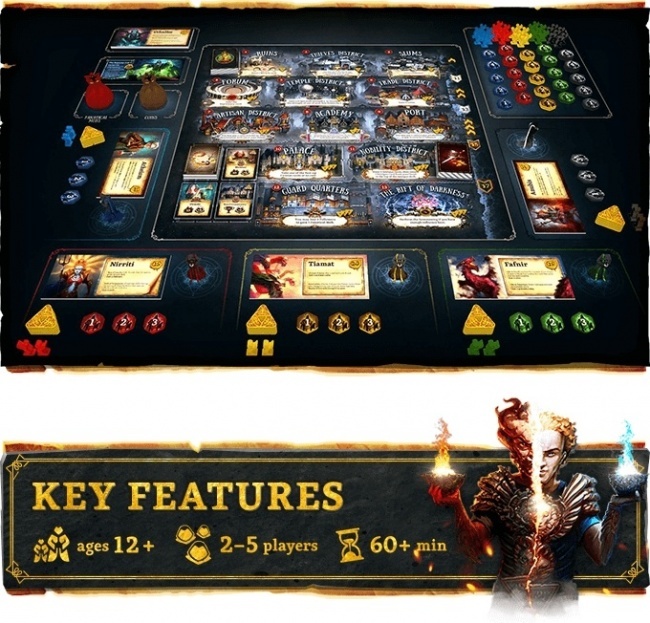 Designed by Konstantin Seleznev (Master of the Galaxy, Nightmarium), Cult has players gather their priests and summon their God, then use powerful magiks to bribe officials, compete for influence in the Eternal City, build Altars to their God, or even incite Fanatical Mobs to overrun the city. There are eight Gods to choose from (Anubis, Janus, Fafnir, Tiamat, Nirriti, Arachne, Cthulhu, Atheism), each with unique strengths and weaknesses, which require different strategies to reign supreme. The box contains 8 cult sheets, 1 game board, 45 followers, 75 priest tokens, 5 patriarch figures, 33 miracle cards, 33 intrigue cards, 33 license cards, 1 supremacy card, 16 fanatical mobs, 100 coins, 5 reference cards, and first player reference token. The game is for 2 � 5 players, ages 12 and up, and plays in 90 minutes. MSRP is $60.00. The game was funded via a Kickstarter campaign in March which raised $30,693 from 634 backers ($48.41/backer average).